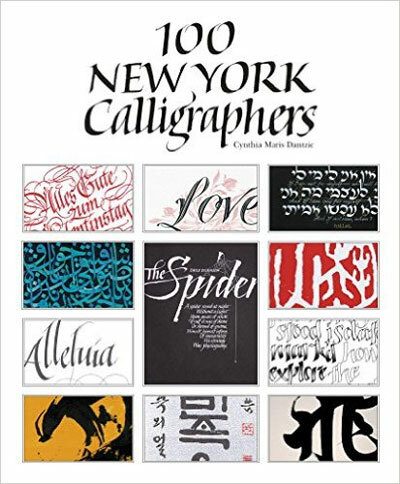 Jack’s work is included in Cynthia Dantzic’s new book 100 New York Calligraphers. It’s an honor to be included in this beautifully presented collection, surrounded by some of the top calligraphers, current and of the recent past. Though my interest in all the book arts goes back to childhood, my formal training began with a calligraphy course in college. One semester and I was hooked. After graduation I continued to take classes and workshops, mostly those sponsored by the New York City based Society of Scribes. For the next 20 or so years I continued to freelance calligraphy and hand lettering of all sorts and did a bit of teaching myself. With the rise of the desktop computer, interest in calligraphy waned among the public and the commercial uses of hand lettering were increasingly replaced by the digital methods. In the meantime, I had expanded into printing on the handpress and bookbinding, having studied with Leonard Seastone, proprietor of The Tideline Press. 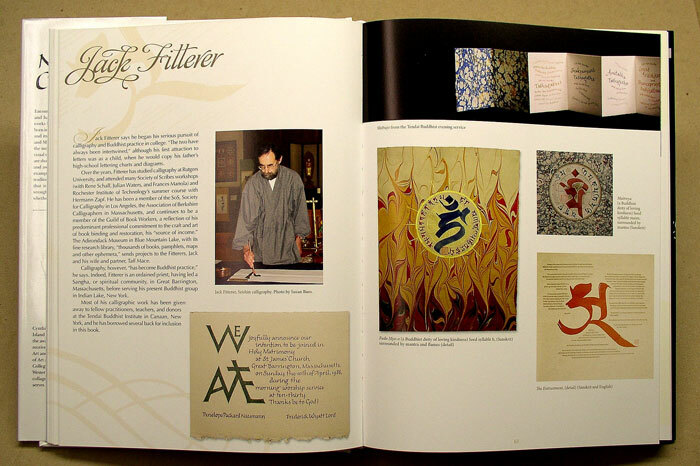 I had a vision of creating and binding one-of-a-kind calligraphic books. I did actually make a few, but a growing interest led to fine binding and especially restoration of antiquarian books becoming my predominant book arts activity. Calligraphy occasionally comes into use still, for appropriate labels, as seen on this binding of Jurgen. I’ve long since stopped taking any calligraphic commissions and now my only calligraphic activity are Buddhist texts, most of which have been offered as gifts to supporters of the Tendai Buddhist Institute and visiting teachers, both in America and Japan.